Purchasing a car is one of the largest investments you will ever make. Depending on your car choice, you could be paying so much more than the price on the sticker. Here are three reasons you should ditch the clunker and invest in a nicer car. If you drive around in your clunker, you never know what could happen while you’re on the road. Breaking down in the middle of the highway or on the side of the road could be very dangerous. Unexpected issues with your car could prevent you from getting to your job or other obligations and end up costing you much more than you bargained for. There’s also the possibility that your car will give out on you completely before you’re done making the payments. Older cars can be quite costly to fix up, especially when they break down so often. If your repairs require a discontinued part, it’ll be fairly difficult to find, and cost a pretty penny to obtain. If you’re constantly paying to get the car repaired, you’ll end up paying thousands of dollars on top of the payment for a car that no longer holds any value. Newer cars usually come with perks like factory warranties. It’s less likely that they’ll break down, but in the event that it happens, there’s a good chance that the repairs will be covered by the warranty. Apps like Uber and Lyft have requirements for their driver’s cars if you decide to go that route. Newer cars have more features available that make driving easier and more efficient. 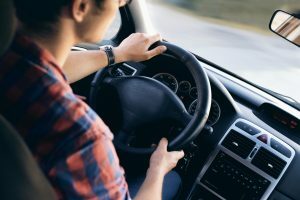 You can connect your phone to the car and answer calls hands-free or shuffle through your music playlists from your steering wheel. This is a pretty great alternative to listening to outdated CDs in your clunker, and I’m sure your passengers will be thankful. You also have the option of adding backup and passenger cameras, which could be very useful in preventing accidents and damage to your vehicle. If you’re going make monthly payments on a car, you might as well get a vehicle that’s nice and reliable. You’ll greatly minimize the risk of costly repairs and you’ll have the option to get awesome new features. If you want to ditch that clunker and invest in a nicer car, there are plenty of companies like City Auto Wreckers that will buy your old car, allowing you to put that money towards buying a new one.